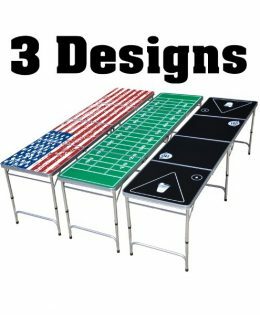 Make up your own games or just expand the game of beer pong to include additional cups, more than the norm. Beer Pong has come a long way since the days of playing on your uncle’s table tennis table in his basement. Now comes a new way to play beer pong called MegaPongo. Easy To Use — You get all you need to play and no extra parts are lying around to get lost or broken. More for Your Money — The carrying case is the game surface, handles are cup holders, collection cups hold the rolled-up backboards, etc. Lots of Ways to Play — It’s open-source beer pong. The result is a compact, all-in-one pong game with unlimited possibilities. 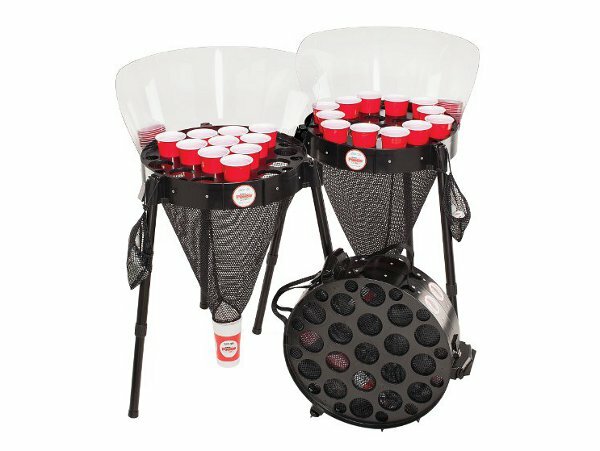 Limitless Possibilities – With 19 cup holes in each unit, you aren’t limited to traditional 10-cup beer pong. 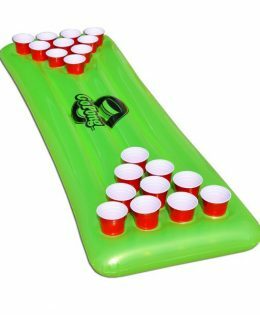 Make up your own games or just expand the game of beer pong to include additional cups, more than the norm. 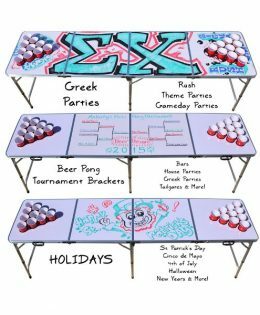 All the fun of traditional beer pong is still here—house rules to fight over, the pure athletic challenge of the game for beer pong sportsmen and sportswomen—but there’s so much more. Here are some other games to consider using MegaPongo. 10-Cup: Traditional way, house rules apply. Around the World: Hit the cups in order. Ring of Fire: Hit the center stack, remove a cup. Hit the ring of fire first, add a cup to the stack. H-O-R-S-E: Miss the cup, get a letter. Chaos: All players fire continuously, grab balls, first to fill all cups wins. Packaged: 23″ diameter x 6½″ tall x 11½ lbs. MegaPongo is assembled by hand in the USA. Two-thirds of the costs are spent in the USA. Other countries include Canada, Mexico, Japan, Taiwan, China … and Texas. As an add-on, you can purchase a package of six (6) WindBalls for $12. WindBalls are the exact same size as regular ping pong balls but are made of rubber and are heavier than ping pong balls. 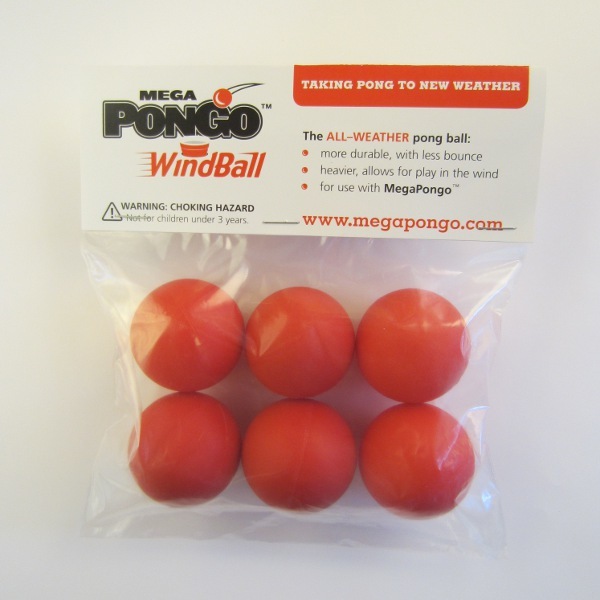 The WindBall is ideal for playing outdoors in the tailgating parking lot or in the backyard where the trajectory might be affected by wind or other outdoor elements. Windballs also have less bounce so that translates into less chasing after missed balls.